THIS IS THE STORY OF FINDING RIALHEIM-LAND. WHERE DINOSAURS COME TO LIFE WHEN WE ARE FAST ASLEEP & DREAMS BECOME REALITY WHILE WE ARE AWAKE. Rialheim is a ceramic studio based in Robertson, South Africa. 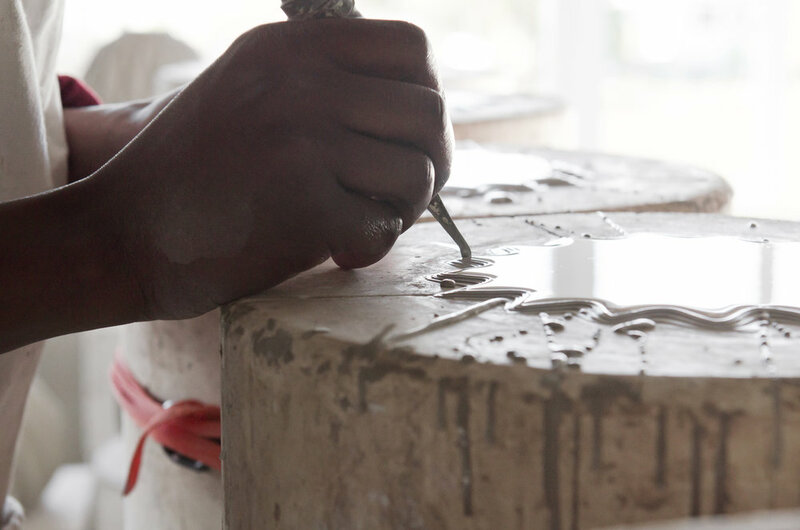 The brand was founded in 2012 by Rial Visagie with a small group of ceramic artists and specializes in shapes and glazing techniques that are inspired by Africa’s diverse cultures and beauty. An expression of our culture and emotions through craftsmanship and design using African soil, fire and water. 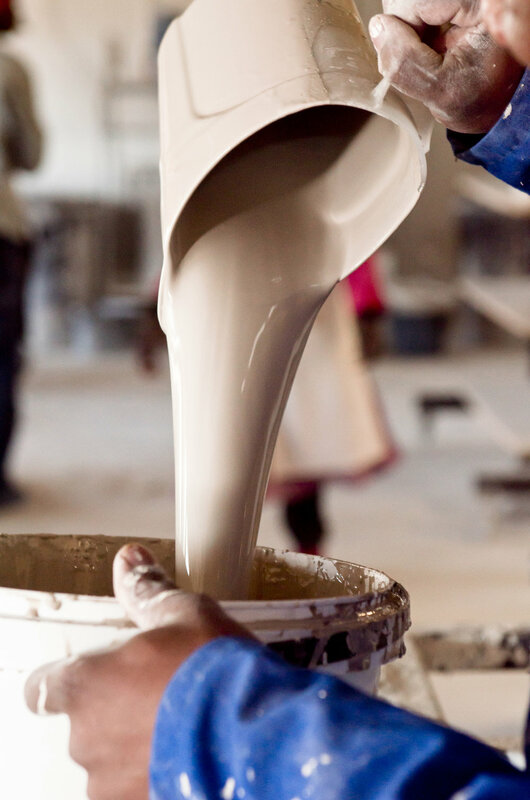 We proudly design and manufacture all of our products on our farm in Robertson hence our slogan Ceramics, Reimagined • Handcrafted in South Africa. Our goal is to produce authentic items that are functional and fun whilst we explore the use of African clay. Our collection is driven by the need to create whilst being inspired by our surroundings that are filled with the beauty of Africa and its people. Our current range, The Brave Collection, draws inspiration from the continent we call home (My Africa), the farm where we live and work (My Farm) and the most southern point of Africa (Cape Agulhas) where two oceans meet. Welcome to Clairvaux Estate situated in the heart of the Robertson Valley in South Africa. An estate steeped in history, Clairvaux’s legacy spans five generations of dreamers who have been inspired by their surroundings and nature to make their dreams a reality. In 2014 when the Rialheim name was resurrected, we embarked on a mission to transform Clairvaux’s barns, storerooms and stables into the studios we use today. The Estate pays tribute to our forefathers who laid the foundations from which our new dreams have been created and continue to inspire us daily.